This song was performed by Soundgarden (Chris Cornell, Kim Thayl, Ben Shepherd, Matt Cameron) on their 4th studio release “Superunknown″ in 1994. 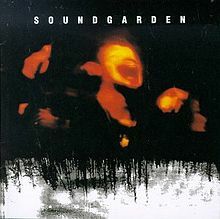 This album was produced By Michael Beinhorn & Soundgarden, mixed by Brendan O’Brien, and engineered by Jason Corsaro. This article brings a critical analysis of the multiple aspects that make us connect emotionally to a certain song in the Alternative genre. By understanding the important elements of these highly valued performances and their emotional impact on us as listeners, we might learn what it takes to make a truly valuable musical piece. I highly recommend reading this article while listening to your copy of the song, then watching the video on the bottom where I play the bass part with ultimate attention to the nuances of timing, articulation and dynamics in Ben Shepherd’s performance. Critical analysis was performed using Ultimate Ears reference custom in-ear monitors. The song starts with a very dark and slightly syncopated drum pattern. This pattern is dominated by heavy playing on the floor tom. Adding to the heavy feel is the Hi-hat which is playing the 1/4 notes with a pedal open-close motion. Notice that the opening of the pedal occurs only a little behind the last 1/16 note of each 1/4 note, adding to the dragging laid back feel. This open-close motion becomes more noticeable from the 3rd bar. The kick has noticeable but not too long ring and good attack which is focused more on the mid frequency region than on the high frequency region. It has good punch but also some hollowness and plastic beater sound to it. Also noticeable is a moderate amount of distortion on it. It appears center. The snare is played softly with a rim shot, with the snares off, what adds to the sense of darkness. It has a lot of ring and tone and it appears center. Notice the ringing that goes up in pitch about half a step on the 4th bar. This is mysterious, I haven’t noticed it all these years and have no idea why it occurs. The Hi-hat is dark sounding and pretty thin, and it appears a little off center to the left. The toms have good body and bottom end, while they don’t have a lot of attack, at least here when they are played pretty gently. They have good tone and sustain. The floor tom that is played here appears a little off center to the right. The cymbals sound dark with good body throughout the intro, except the very first hit that sounds a little brighter, wider and more prominent with a longer sustain. Notice the relatively narrow image of the drums. It seems that they are almost collapsed to mono, only widened a little bit by the overheads and room mics. There is no reverb added to them at this stage. On the 5th bar, the bass enters with a very dark and undefined sound. It has good low end and low mids. It appears center, just a little behind the kick drum. The bass part throughout the song is pretty minimal and simple, but it drives the whole song from below with 1/16 note feel pattern, with diverse articulation and octave movement. On the 9th bar, the guitars enter with the main leading part of the song. This is one of the most memorable elements of this song, mostly because the way it is played. The dissonance that is created while the 6th and the 7th chord notes are ringing together, spaced a minor 2nd interval, adds a sense of fear and darkness to it. The double tracked left-right guitars are high in gain, and have good note definition and sustain. The right guitar is perceived closer then the left guitar, being brighter and less reverberated. Blended together they create a spacious dark atmosphere, preparing us to the first verse. The intro ends with a snare and tom fill (with an 1/8th note rest between the flam snare and the fill), as well as the beginning of the next lead guitar part, melodically emphasizing the major 7th and 9th of the chord. The guitars from the leading intro part fade out while the new double tracked lead guitars take place, being a little louder and wider spread in the stereo image. The vocals enter with a somewhat bright sound, but they are not thin sounding and have a good body to them. They are double tracked here, what adds to the sense of sadness and weirdness. They sound relatively dry and deep. Notice the lead guitar part that is full of dissonance, emphasizing the major 7th chord note in the 2nd bar and the augmented 4th chord note on the 4th bar. The guitars from the intro are back for the 7th and 8th bars of the verse. The slight imperfection of the double tracked vocals, as well as their little too much sibilance is noticeable on the 13th bar on the end of the word “gift”. The guitars from the intro are back again for the 15th and 16th bars of the verse, followed by the guitar part of the pre-chorus. Notice the different parts on the left and right that support each other perfectly, while the left guitar keeps a melodic movement like in the verse only with less note space and the right guitar a more arpeggiated high register ringing notes. This creates a sense of progression, movement and tension before the first chorus. The intro guitars come back again for the last two bars, then the verse ends with a flam snare hit on the last 1/4 note. A new guitar part is introduced, emphasizing the same ringing minor 2nd interval as before, on a different chord – now it emphasizes the augmented 4th against a 5th on the first chord and the 5th against the minor 6th on the second chord. Added to them is another note that emphasizes the 9th of the first chord and the minor 3rd of the second chord. This static harmonic structure against the moving bass adds drama and interest to the chorus. The drums play a 1/16th note feel pattern on the ride with an unusual dotted 1/4 notes and 18th note pattern on the kick followed by a syncopated pattern on the toms on the 3rd bar. Notice the snare hit on the 4th beat of the 4th bar. It is sent to a very deep, dark and long stereo reverb which spreads it across the stereo image. The reverb doesn’t send the snare too much to the back of the mix because a moderate pre-delay on the reverb separates it from the snare hit itself. The same reverb is applied on the snare hit on the 4th beat of the 8th bar as well, but not on the 4th beat of the 10th bar. On the 9th and 10th bar the guitars play a 2 bar length chord, emphasizing the dissonance from before but on a sus4 chord, preparing for the next verse. This verse is similar to the first one on the instrumental aspect. The vocals sing the melody an octave above. They are not double tracked here, but have an 1/8th note delay with two repeats on it. Notice that the vocals are much more distorted here and also somewhat more distant and tucked in the mix than in the first verse. On the 6th bar the vocals are double tracked on the words “love’s like suicide”. On the 9th bar, the right guitar feeds back as a result of its high gain. I am not sure that this feedback was intended in the first place, but anyway it adds interest and fear to the part. The vocals are double tracked again on the 14th bar. Notice the step up in attitude on the pre-chorus, with the guitars playing more angrily and the vocals screaming the melody. The vocals on the 21st bar are also double tracked. Notice how the tension of the instruments from the pre-chorus releases here, while the vocals sing the melody of the second chorus an octave above. The snare hit on the 4th beat of the 4th and 8th bar is reverberated here as well. The instrumental part kicks in from the chorus with the ringing, feeding back open sus4 chord on the guitars, followed by a sudden loud snare hit on the second 1/8th note of the 2nd beat of the last bar. This snare hit sets the tone for the next half of the song which is much more aggressive. It has an extremely long ring that is full of tone. It sounds as if this hit was played by a totally different snare, overdubbed, added or had a totally different processing on it than the rest of the song. The snare from now on is played aggressively with rim-shot, while the snares are now on. Another radical thing that changes is the spread of the drums in the stereo image. The toms and (now brighter) overheads are now spread wider, the snare and toms are sent to a wide stereo reverb, and it even seems like the kick drum has shifted a little off center to the right. The drums now drive 1/8th notes on the ride/crash with 1/4 notes accented on the ride bell. The guitars play the verse lead part but much heavier (also accenting the 2nd 1/8th note of the 2nd beat of the 1st bar with a low heavy chord), followed by heavy sus9 chords on the 5th bar. Notice that the overall level, intensity and dynamics are higher here, and the mastering process has kept these dynamics in their entirety. Today’s mastering standards just don’t allow such a drastic change in level between the parts. had this song been mastered to day, the louder part of the song would have been heavily compressed and limited. The bridge starts with double tracked delayed high register vocals singing the lyrics of the first pre-chorus, and then the lyrics of the second pre-chorus, while the guitars play the part from the instrumental. The guitars play a new melody that emphasizes the 7th chord note (the same note is the 4th chord note on the next chord), supported by the drums and bass, with occasional delayed vocal phrases. The solo actually begins on the 14th bar with a long sustaining, feeding back note. This Kim Thayl signature solo is played with a wah pedal, and is a wonderful example to a distinctive playing style that is unique and can be recognized only as his style. Notice the right guitar that supports the solo guitar that supports it with arpeggiated movement, and then melodic movement (starting on the 17th bar), until it actually sounds like two solos, while the left one is much louder and sounds fuller. All guitars play heavy power chords that emphasize the 9th chord notes, while the solo guitar keeps wailing on the left. On the 5th bar the guitars are playing a melodic movement that emphasizes the major 3rd chord notes, while the drums play loosely, holding 1/4 notes on the right with occasional syncopated open-close Hi-hat hits and crash cymbals accents on the snare hits. The drums stop with a snare roll on the 8th bar and a kick on the 9th bar. The bass plays an open D note while the guitars go from F# to F while getting quieter. A similar major-minor movement is present at the beginning of the choruses, but is less prominent there because the bass is playing the same notes as the guitar. Here it feels different because of the open D note of the bass. The delayed vocals scream the chorus for the last time. The huge amount of distortion on them is most noticeable here, while there are only guitars under them. It seems like another distant guitar is added in the middle of the stereo image. The last words “just like suicide” are supported by the drums playing open Hi-hat and kick and by the bass playing the last chord progression with a high D, followed by an open low D chord. The right guitar is feeding back while being sent to a long stereo reverb which spreads it across the stereo image. The guitar the stops and the reverb fades out.